President Trump has hailed the GOP tax plan as a "giant tax cut" for the middle class. While many people will pay less tax in the next few years, just how much less will vary greatly. Plus, some individuals will end up paying even more. How do you know where you'll fall? Just like under today's code, many factors will determine what your tax burden will be. 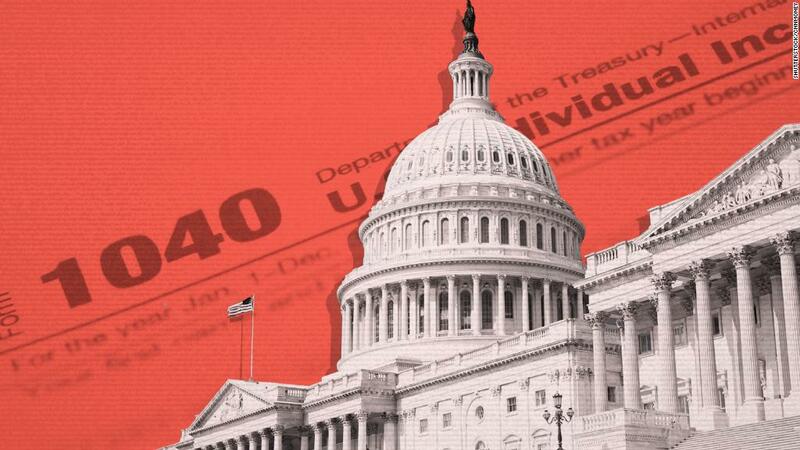 Your marital status, how many kids you have, how you make a living, where you live, which tax breaks you ordinarily take, plus other elements will affect the changes you'd see in your tax bill if the GOP plan becomes law. The Tax Institute at H&R Block ran a number of scenarios for filers in different situations to give a more specific gauge of where you might stand in 2018 if you're a wage earner. In the next several years, plenty of filers are likely to see a tax cut of some kind, although not everyone will be quite so lucky. But the story will change as the decade rolls on because individual tax cuts would expire after 2025. Here's just a sampling of how people in different situations may fare next year. Keep in mind, these scenarios do not delve into the more complex provisions of the Republican plan that, for instance, taxes a filer's business income at a lower rate than their wage income. Much more needs to be unpacked by experts as to how that will play out for different filers. Nor do they take into account the potential effects of other provisions in the tax bill -- such as eliminating the penalty for not buying health insurance -- or any future spending cuts that may be made to help offset the cost of the tax bill. Family of four in San Diego, Calif. The family would save an estimated $3,559 in federal income taxes: They would no longer itemize, opting instead to take the nearly doubled $24,000 standard deduction for joint filers. Their top tax rate would drop to 22% from 25% today. And they would become newly eligible to take the expanded Child Tax Credit ($2,000 per child). The Tax Institute ran another example of a married couple in Houston -- with three kids under 17 -- also making $150,000 and found they'd save a little more ($3,771) on their tax bill for the same reasons. Head of household in Kansas City, Mo. The family would save an estimated $1,802 in federal income taxes: The standard deduction for heads of households nearly doubles to $18,000. The family's top tax rate of 15% falls to 12%. And the child tax credit is doubled to $2,000 per child. The Tax Institute ran another scenario of a single parent with three kids under 17 in Los Angeles making $75,000. That family would save $2,560 for the same reasons. Single person in Queens, N.Y. The person would save an estimated $101 in federal income taxes: While her top income tax rate would drop to 24% from 28%, the GOP bill caps her state and local tax deduction (income + property) at $10,000, which is $5,000 less than she currently takes. She would still continue to itemize under the bill because even with the $10,000 cap, her deductions combined would exceed the nearly doubled standard deduction of $12,000 for single filers. Single person in Westminster, Colo.
-- Itemized deductions totaling $19,600 ($2,500 state and local income tax; $3,500 property taxes; $5,000 in mortgage interest deduction; $8,600 in unreimbursed employee business expenses, since filers are only allowed to deduct those expenses in excess of 2% of AGI). The person would pay an estimated $1,484 more in federal income taxes: Even though this filer's top tax rate falls to 22% from 25% currently, he would no longer be able to deduct any unreimbursed business expenses under the GOP bill, so he would end up taking the $12,000 standard deduction instead of itemizing. -- Itemized deductions totaling $135,000 ($46,000 state/local tax; $24,000 property tax; $55,000 mortgage interest; $10,000 charitable contributions) but capped at $128,001 due to a limitation in the current code for high earners. The person would pay an estimated $6,470 more in federal income taxes: The reason is two-fold. First, the filer's top tax rate rises to 35% under the GOP bill, up from 28% today. And second, his state and local tax deduction is limited to $10,000, down from the $70,000 he takes currently.